We are pleased to announce the winners of our 2018 #GIKunplugged photo contest! 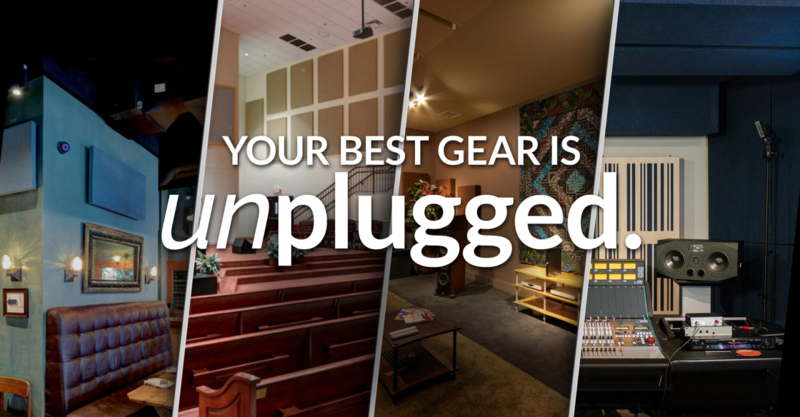 The contest invited customers to highlight how the best gear (GIK Acoustics treatments) is unplugged. We received over 110 entries from clients around the world showcasing GIK Acoustics products in their space. Every type of room from recording studios, to home listening rooms and home theaters, to schools, offices, mixing facilities, live rooms, rehearsal spaces, and gyms were represented. The collection of photos will help inspire others to see how proper room treatments improve not only the sound in a room; but enhance the room visually as well. The Grand Prize Winner is Ed Driscoll from Glen Rose, TX, who will receive $500 cash + a $500 GIK Acoustics shopping spree. GIK Acoustics also awarded four (4) Runner-Up Prizes (two runners-up from GIK Acoustics-U.S.A. and two runners-up from GIK Acoustics-Europe). These winners will each receive a set of 4″ Impression Series or 4A Alpha Series panels of their choosing to further enhance their space. Thanks to everyone who submitted entries to our #GIKunplugged Photo Contest! We rely on our clients and community to help remind everyone that Your Best Gear is Unplugged. Visit the contest page to see all the finalists. This entry was posted in News and tagged contest, photo contest, unplugged, winner.